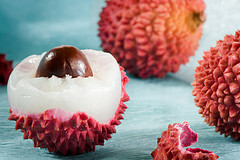 Lychee Fruit is a good source of riboflavin, potassium and copper. This fruit is opened by tearing the skin lightly, then squeeze the fruit out. 	Copper is required in the production of red blood cells. 	Increases the energy level of the body. 	Natural diuretics aid in flushing the body of toxins and breaking down fat. 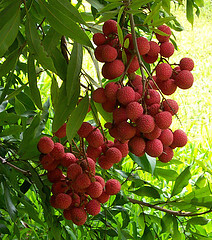 	Eating lychees several times a week will help to relieve the pain caused due to kidney stones. 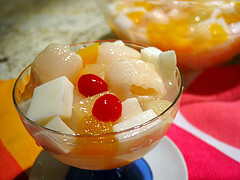 	It is a very good source of minerals like potassium and copper.